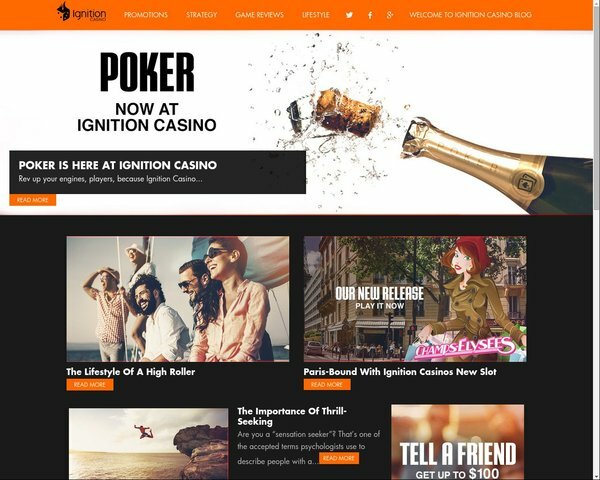 Bovada.com has started advising players visiting Bovada Poker that Ignition Casino has acquired full ownership and rights of the Bovadas Poker business. In order to continue playing, current members will need to transfer their account by September 30, 2016. After this date Poker games at Bovada will no longer be available. Bovada Poker further tells players that they are fully confident that Ignition Casino’s will provide you the same level of service, play and security they had at Bovada. In addition they get an account transfer bonus which includes: $10 Free Cash bonus $1,000 Deposit Casino Match Bonus $100 Poker Deposit Drip Bonus plus a Freeroll ticket Current Bovada Players are being told they can transfer their account and claim a signup bonus. Bovada says: We’ve taken all steps with Ignition Casino to ensure that this transition is a as seamless as possible. It’s been a pleasure to offer our poker services to you for the last four years and we’ll continue to provide you with a world class casino, sportsbook and racebook experience.” However, at this time, onlinesportsbooks.com does not see that Ignition Casino offers Poker games or online poker, other than video poker. We do believe however, that it is likely that Ignition will open a live Online Poker room by time the transfer date of Sept 30 arrives. As of August 9, 2016, Ignition has updated the website with a note stating: “Rev up your engines, players, because Ignition Casino has acquired Bovada Poker. What does this mean? Adrenaline-pumping poker play is now here. Get into the action right away, starting with 100% match Bonus up to $1,100 in Casino and Poker welcome bonuses. You’ll be in the money the second you sign up, deposit and play in our fully loaded poker with Anonymous tables, Zone poker, mobile poker and guaranteed tournaments, like the weekly $100K. Start your engines, buckle up and get ready to rev up the action with the hottest poker around.” For more info, check out the Ignition Bovada Bonuses Info Page. More info for current Bovada Poker players is available at Ignition Casino If you hear of an update to this story, do let us know.